Add aroma and dramatic style to your space with this unique incense burner. 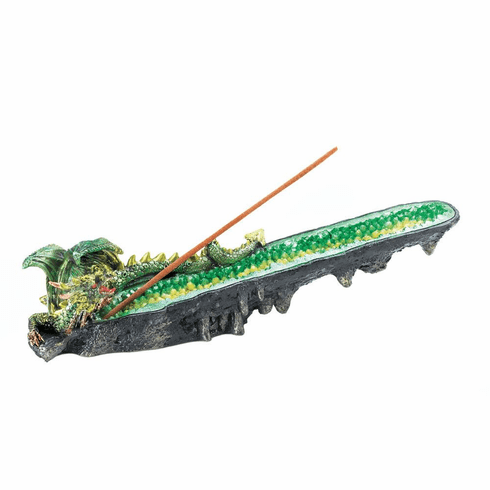 It's made from durable polyresin and holds the incense stick of your choice with a green dragon head that watches over a long geode of green crystals. Weight 0.8 pounds. 10.8" x 2" x 2.5". Polyresin. UPC Number: 849179029388.